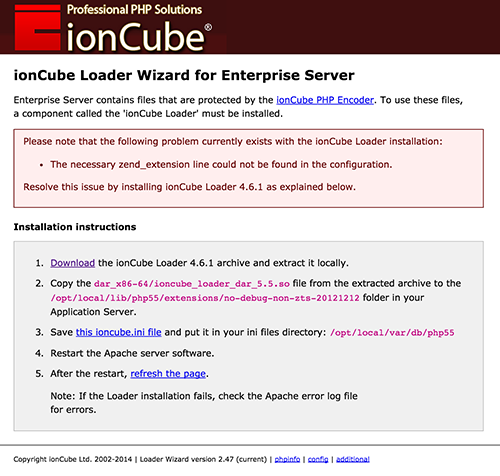 For security reasons, Enterprise Server encrypts some of its PHP modules by using ionCube. Installing or upgrading ionCube is part of the installation or upgrading steps of Enterprise Server 10, but in case the installation of ionCube needs to be repeated, use the steps outlined below. Step 2. Follow the outlined steps. Step 3. Repeat step 1 until no more errors appear.